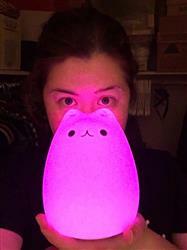 Adorable cat night light activates with taps to its back and changes color! Charge it once and carry it around with you all day! Supports portable usage of up to 15 hours with one full charge. Mood setting lamp to calm nervous kids or for others who want a soft lighting at night. Built-in 1200mAH lithium battery and vibration sensor. Made of soft silicone rubber. Charges by USB port - cable included. The Color Change Cat Night Light gives off just the right amount of light to dimly light your room at night. Made of soft silicone rubber, this lamp is soft to the touch and squishy so it won't break if dropped. 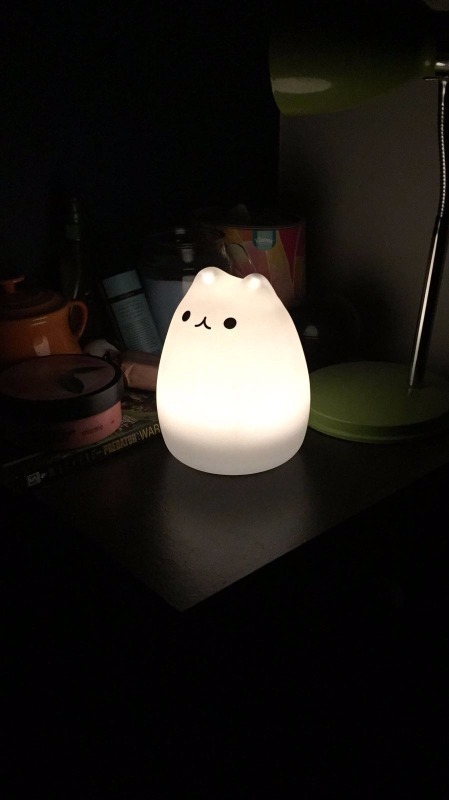 With one full charge lasting up to 15 hours, you could take the kitty night light anywhere with you! Turn it on or off by smacking it, squeezing it or clapping at it! This was an awesome find! 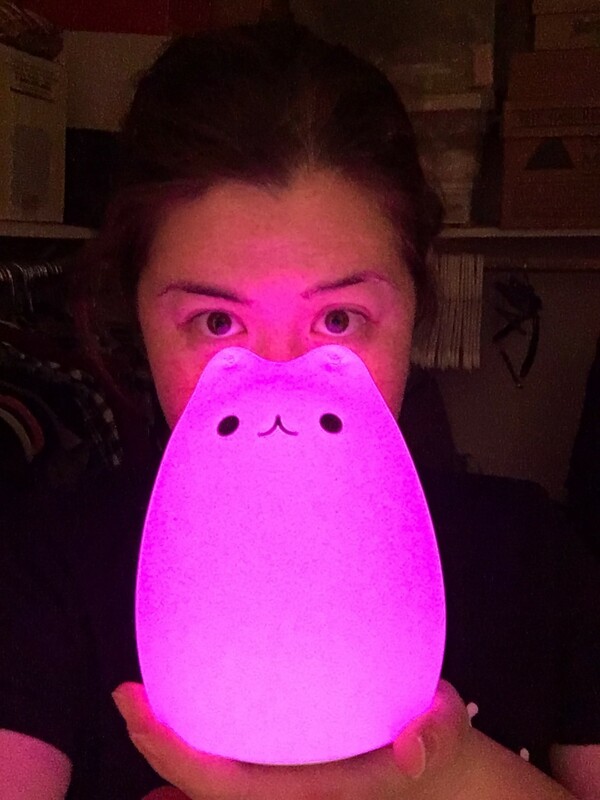 I’m so happy to have my very own color-changing kitty light! It’s soft material is fun to touch and also keeps it from getting chipped or broken! And it’s just so much fun to watch! It was very easy to order online, and I got a timely notification that my item had been shipped. All arrived in perfect condition. Would definitely order though GeekyGet again. I bought this present as a kind of guilty sorry after my drunken antics at new year... having smashed my besties beloved candle holders I found it only appropriate to buy another light source of some kind. Item was exactly as described and arrived in good time. She loves cats and loved this - perfect! Great! little damage to the product from shipping but still ok!